Products tagged with 'Portable' - Picnic Table Store-Commercial grade quality-lowest price. 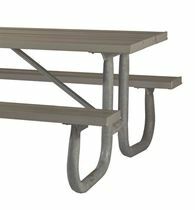 12 ft. ADA Wheelchair Accessible Aluminum Picnic Table with Welded 2 3/8" Galvanized Steel Frame, 293 lbs. 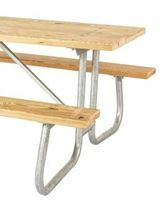 12 ft. ADA Wheelchair Accessible Recycled Plastic Picnic Table with Welded 2 3/8" Galvanized Steel Frame, 485 lbs.